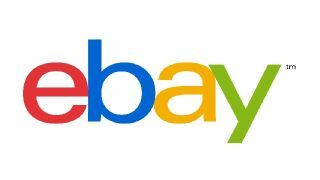 The free eBay mobile app allows you to keep in touch with items you're buying, selling and watching while on the move, and also permits users to upload listings direct from the device. However, if you're the proud owner of a Samsung GALAXY S4 or GALAXY Note 8.0 you have plenty of other advantages over the rest of the bidding field. Here are 10 ways to ensure you get the most from your "For Sale" sign and never miss out on that must-have item again. Here's the situation: you've just received that dreaded email that sends panic through the veins of every eBay user: "Outbid notice: Bid Again for Backstreet Boys Millenium poster." It gets worse. There's less than a minute to go in the auction. In that time you need to exit the email app, fire up the eBay app, navigate to the item and make a bid. On lesser devices, you'd be bang out of luck. Luckily the GALAXY S4 and GALAXY Note 8.0 both have powerful quad-core processors that can handle the above with enough time to do a celebratory dance as the auction closes. All together now: "Everyboddddddy, Rock your body!" The Samsung GALAXY Note 8.0 tablet and GALAXY S4 smartphone come with an awesome multitasking feature called Multi Window, which allows you to keep two apps open and on the screen running concurrently. Head to the eBay mobile site via your web browser to keep an eye on your item while watching YouTube videos, sending emails, or catching up with your Twitter feed. To enable Multi Window, illuminate the icon in the quick settings menu, access the sidebar and drag the apps to sit on the top or bottom of the screen. Remember what a hassle adding an item to eBay used to be? You'd have to take photos on your digital camera, transfer them to your computer and then add them to an item listing. Now all that can be done on the eBay app using your device's camera. The Samsung GALAXY S4 has a superb 13-megapixel camera with HDR and Panorama modes, so when you list your item as being in 'mint condition' you can back that up with brilliantly detailed, crisp and clear photos. Make sure you set the sensor at the maximum possible resolution by opening the camera app and hitting Settings. There's nothing that puts off a potential buyer more than blurry photos that look like they were taken with a webcam circa 1995. In the pre-app era we'd be scared to leave the house in case someone sniped our bid at the last second, but the eBay mobile app for the Samsung GALAXY Note 8.0 and Samsung GALAXY S4 puts you in command. Not only will you be able to keep track of your desired item on the go, but with the GALAXY S4 and the 4G LTE version of the GALAXY Note 8.0 both rocking superfast connectivity, you've got an advantage on the rest of the field. When you've been outbid with 10 seconds to go, timing is everything and 4G could be the difference between you scooping an awesome bargain or regretting missing out on that rare Creedence Clearwater Revival vinyl. If you want to be an efficient and profitable eBay seller then you need to make yourself available to the bidding masses. If a potential buyer wants to know if that signed 'Craig from Big Brother' photo has a certificate of authenticity, you better answer him or her. And quickly! One way to ensure you receive all the questions from buyers is to ensure your emails are coming through regularly. Head to the email settings on your device and change the incoming email frequency to "every five minutes" for those occasions when a major eBay deal is being negotiated.